A decade has passed since Tim Burton's critically panned remake of the 1968 hit Planet of the Apes, and now this classic series is being steered into a new direction with this 2011 reboot that starts afresh; establishing a brand new origin story for a future series and divulging the events that triggered the ape's reign over our world. 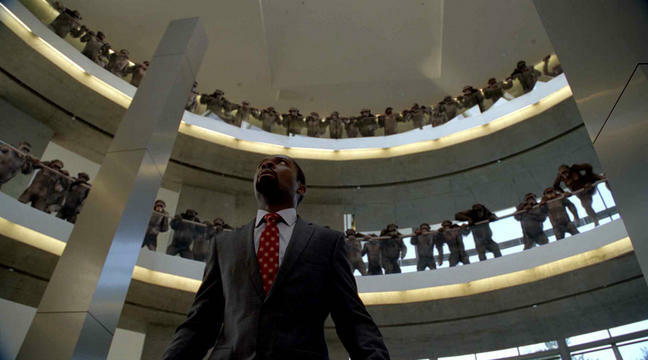 Far from a lazy cash in, Rise of the Planet of the Apes succeeds in breathing new life into this somewhat familiar tale, and will surely leave audiences hungry for more. 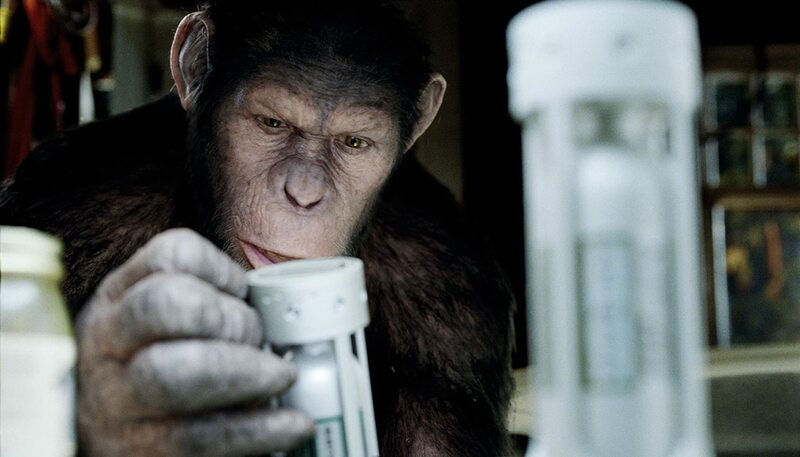 The story focuses on Caesar (Andy Serkis), a chimpanzee whose intelligence is radically boosted when his owner Will Rodman (James Franco) tests a potential cure for Alzheimer's on him. 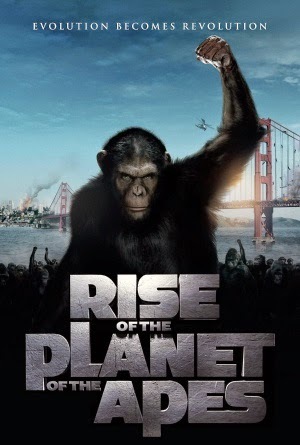 Disdained by society and soon imprisoned amongst other apes, Caesar bestows the same intellect boosting virus on his fellow captives, leading to an all out war between apes and humans which will ultimately decide the fate of mankind. Unlike past iterations, the apes present in this film are all products of computer technology; advanced CGI motion capturing was utilized to model and animate them, which is done in a very lifelike fashion. The mannerisms, movements and facial expressions are all exceedingly realistic, managing to capture the typical behaviours of a chimpanzee yet also conveying a powerful level of humanely emotion to the audience. There are times where the apes look rather synthetic, but it doesn't detract from the experience and for the most part the effects are astounding. Initially, the story's pacing seems a bit too quick, rushing into the birth of Caesar and his human like cognition without focusing a great deal on the characters. It's not a major issue, however, and it ends shortly upon Caesar's entrance when the emotional complexity is surprisingly well thought out. Caesar is a character explored strictly through mannerisms and facial expressions which, thanks to a fantastic performance by Andy Serkis, works magnificently in communicating a great deal of passion to the audience. The focus here is certainly not apes overthrowing mankind; it's the motivations behind it, which is something evident by the action sequences only being present in the final act, so that viewers can expect a satisfying story and not an endless barrage of noisy violence. James Franco stars as Will Rodman, the scientist behind Caesar's radical intelligence. The character isn't explored a great deal when compared to Caesar himself, but Franco's performance is still solid, which is more than I can say for co-star Tom Malfoy...I mean Felton. Not only is his character a complete stereotype with no sense behind his actions, but the performance was relatively weak, lacking any real interest and making the character stick out like a sore thumb alongside the rest of the performances (do I really need to bring up Caesar again?). 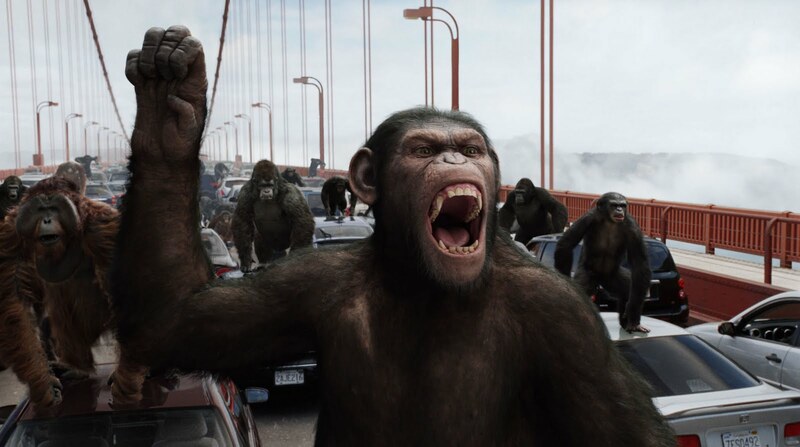 Though not without it's problems, the first of which being an annoying title, Rise of the Planet of the Apes is still brilliant summer entertainment. The story is well told and very temperamental, the effects are truly stunning and Caesar is just downright awesome. If the level of quality demonstrated throughout this film carries over into the inevitable sequels, then Rise of the Planet of the Apes is set to pioneer something truly great.